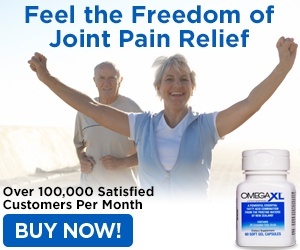 Since I have been taking OmegaXL, it has helped to relieve the pain in my hands, wrist, shoulders and fingers. Due to the pain, I was unable to grab objects, pick up heavy items, and also it was difficult for me to write. Also, it was difficult for me to hold a coffee pot and pour the water into it, I would have to prepare my coffee at night because my hands would hurt so badly in the mornings, and it was painful for me to move around my fingers. Now, I am able to do everything again with less pain, and I am not restricted from doing anything that I was able to do before I started the product. OmegaXL ,is a natural product, and I like the fact of that and also the capsules are easy to swallow. Review #807966 is a subjective opinion of User807966.